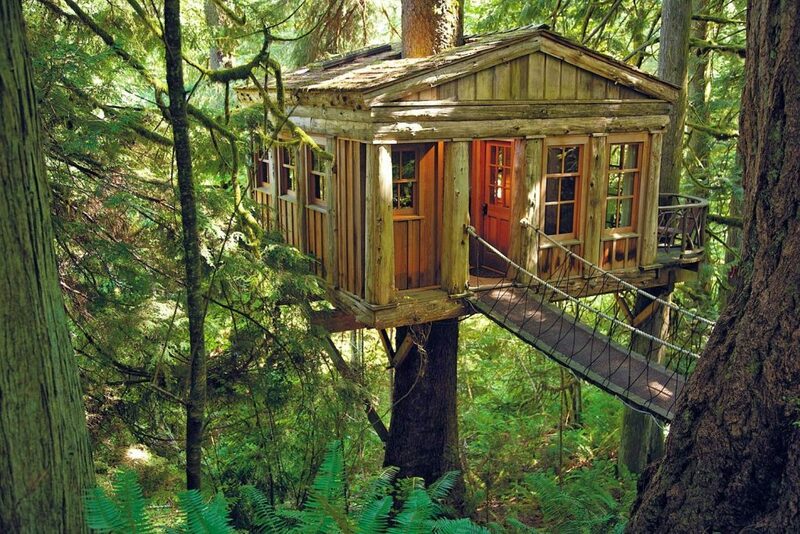 Having a tree house is every child’s dream. For those of us who are lucky enough to have the space to build one for our children, it’s a pretty rewarding project. If you’ve ever built a tree house, you’ll know how much hard work and time can go into it. Once it’s finally finished, you want your tree house to last as long as possible. That’s why it’s so important to weatherproof your creation, so that you and your children can enjoy it for many years to come. When wood gets wet and doesn’t dry properly, mold can form and the wood may start to rot. 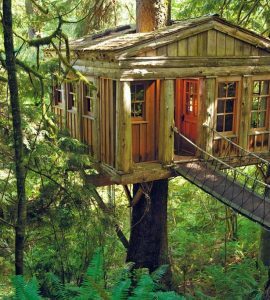 This can happen more often in a tree house than in other types of wooden structure, because a tree house isn’t generally properly ventilated. Even if you want to keep the natural beauty of the wood, it’s important to protect your tree house from the weather, if you want it to last as long as possible. For the natural look, you could apply a penetrating oil finish, such as Textrol, to protect your tree house against moisture, weathering and UV damage. As there’s no film on the surface, it won’t peel or flake and because it can be applied wet-on-wet, you don’t need to wait for coats to dry during application. Even better, maintenance is easy with local touch-ups and no laborious sanding required. If your tree house is made from a hardwood, you could opt for D1 Pro, our high performance saturating wood oil for hardwoods, which comes in a natural finish with a honey or weathered grey tint. Want a semi-transparent finish? Aquadecks, a water-based penetrating finish, is available in 6 different shades. Alternatively, Tropitech works equally as well and is designed to withstand severe foot traffic. If you fancy painting your tree house, Solid Color stain is the ideal choice. Guaranteed on bare wood for 15 years on vertical surfaces, it’s available in 35 different shades. Stick with a neutral shade or opt for two colors to create a stunning stripe effect. Having a good roof is essential, as it serves to protect the whole of your tree house from rain and snow. When you’re building your tree house, ensure that your roof has a steep pitch (this will help to stop snow from gathering on the structure) and a generous overhang, to keep the rain away from the tree house walls. Is that trunk really a good idea? While it may look pretty to have a trunk or a branch running through your tree house, it can also cause damage in the long run. Not only could a branch channel more water into your tree house, it could also damage your structure when the winds get up, as the tree’s branches move and flex. Designing a tree house in a way that protects the walls and base from water is essential, as well as protecting the wood you’ve used to build it, as soon as you’ve completed the construction part of your project. Have you built a tree house? Send us your pics – we’d love to see your creation!